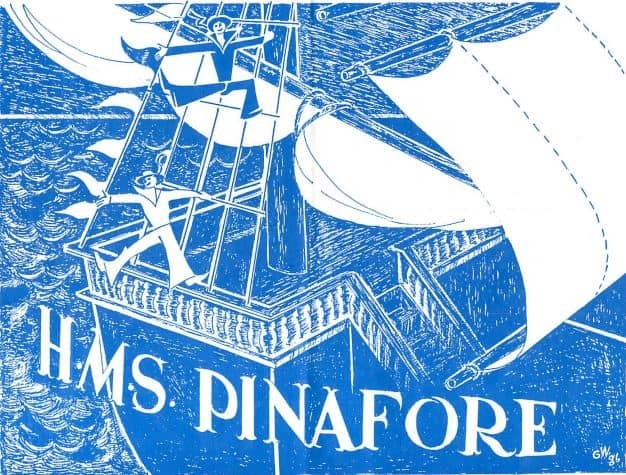 The story takes place aboard the ship HMS Pinafore. The captain’s daughter, Josephine, is in love with a lower-class sailor, Ralph Rackstraw, although her father intends her to marry Sir Joseph Porter, the First Lord of the Admiralty. She abides by her father’s wishes at first, but Sir Joseph’s advocacy of the equality of humankind encourages Ralph and Josephine to overturn conventional social order. They declare their love for each other and eventually plan to elope. The captain discovers this plan, but, as in many of the Gilbert and Sullivan operas, a surprise disclosure changes things dramatically near the end of the story. Producer: Joseph A. Agostine, Jr.